The new-age digital leader needs a leadership model that accounts for a dynamic work environment and disruptive business models. Digital transformation has led to not just technological, but continuous economic, societal and cultural change as well. It is reshaping the way we work and altering the fundamentals of doing business, forcing us to rethink the existing models. Businesses are struggling to simply survive, let alone flourish in the face of digital disruption. As the digital era is gaining momentum with social media, mobile, data analytics and cloud computing gaining prominence, newer workforce concepts are taking the center stage because of volatility, uncertainty, complexity and ambiguous work environment. As we are no longer constrained by notions of geography, factors such as an open economy, globalization, increasing use of mobile technology, dynamic economic conditions, the rise in self-employment, increased workplace flexibility facilitate the above changes. The workforce constitutes people from disparate locations, across different generations working together. Mobility and flexibility are increasingly become indispensable to foster collaboration as teams are widespread globally. Gaining the best technology does not reap any competitive advantage in the digital age, but the key lies in identifying, nurturing and managing talent well. In this digital era, an organization's proposition will depend on its talent readiness, skill base and the way it captures the diversity of thought and perspective. This will thrive in congruence with great leadership. The mark of a true leader rests in their ability to carve a niche for themselves in a fast evolving and transparent environment – where organizations are becoming far more complex, where creativity lies in ideation and where talent is sovereign. Keeping pace with the changing business environment requires more than intermittent changes in processes. It demands a change at the ground level, a change in the mindset of leaders cascading down throughout the organization at all levels. 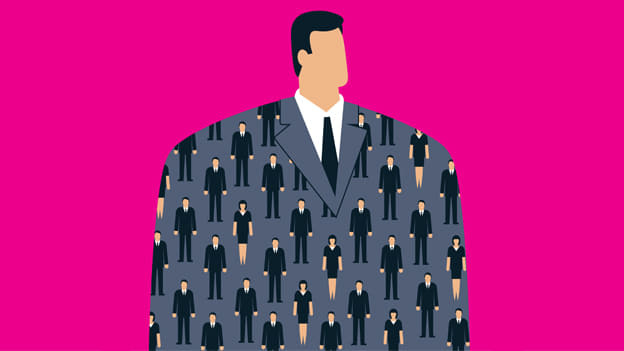 To succeed, HR leaders would require a fundamental shift in the talent management practices and increase human resource agility. As per the four roles of HR, defined by David Ulrich, HR has to play the role of a Strategic Partner, Change Agent, Administrative Expert and Employee Champion. The same is applicable in the context of digital transformation. In this backdrop, the role of HR leaders needs to evolve. The most critical impact is on the way human interactions take place, which forms the essence of an effective leader. Digital culture in its rudimentary form will continue to create positive future for our businesses and society at large. It is a race and HR leaders have to drive their strategies towards being process driven, collaborative, adaptive and relator. However, to reap the benefits of the digital era, leaders must be equipped to undertake deep shifts that are as much cultural as they are process oriented in nature. Further, digital technologies can now be leveraged to enhance the employee experience and to accelerate their learning and development. More than ever before, employees are expected to upgrade their skill sets according to the changing business needs. Learning can take place in a faster and more efficient way via handheld devices of the employees. Moreover, it is HR’s responsibility to assess the current and forecast the future digital capabilities’ requirements so as to invest optimally in attracting as well as developing talent. Decision-making is now more objective than ever, thanks to the plethora of data analysis tools available. Artificial Intelligence and Machine Learning can be utilized not just for customer-centric solutions but an employee as well. In fact, it is the organization’s own employee who is now being perceived as the first customer of employer’s brand. Be it formulating employee retention techniques, or measuring return on the various HR initiatives, data speaks louder than words. Integrating the use of data to arrive at solutions with the innovativeness is essential for thriving in today’s competitive business environment. Lastly, for any change to sustain in the long-run, the digital vision must be communicated at all levels and agile mindsets must be incorporated into the company’s culture.